Today we celebrated the first birthday of the school year. Savanna turned four. Over the years our birthday traditions have changed. Back in the day parents brought special treats in for their child’s birthday and there was almost like a mini party. That was wonderful except that everyone’s mom doesn’t celebrate the same way and some not even at all and I hate a child feeling left out. 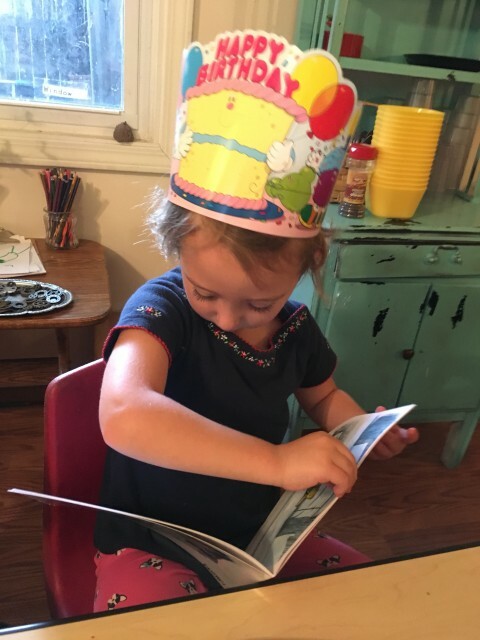 After that for a brief period of a few years the birthday child stayed up during naptime and baked cupcakes with me that we shared at snacktime. Our current birthday tradition involves birthday pancakes. 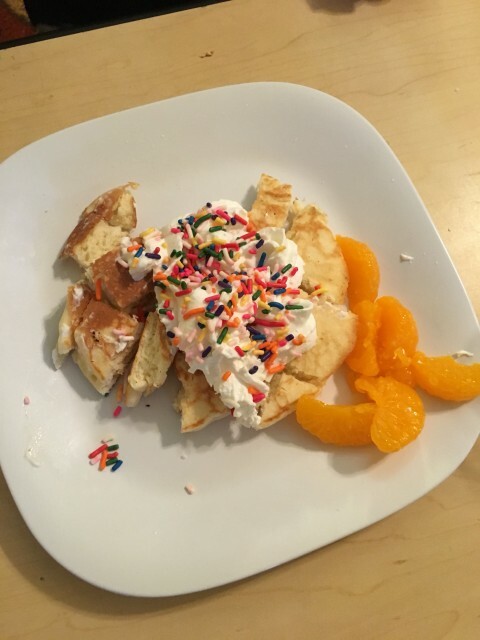 We serve pancakes with spray whipped topping and sprinkles. The birthday child has candles and we sing the birthday song. The birthday child is also traditionally given a book as a gift to take home. 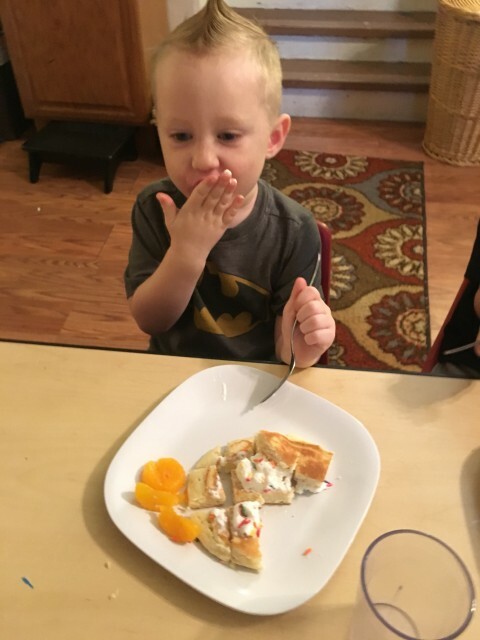 The third day of school was a great day to eat pancakes with Cool Whip and sprinkles.